On burger menu, the logout option will always be at the bottom, and usually the top row of the menu is mostly "Details" or "Account Info." What is the base theory for this position of the "Logout" button in menus with rows? Should it always at the 'end' because it shows the exit sign (technically)? 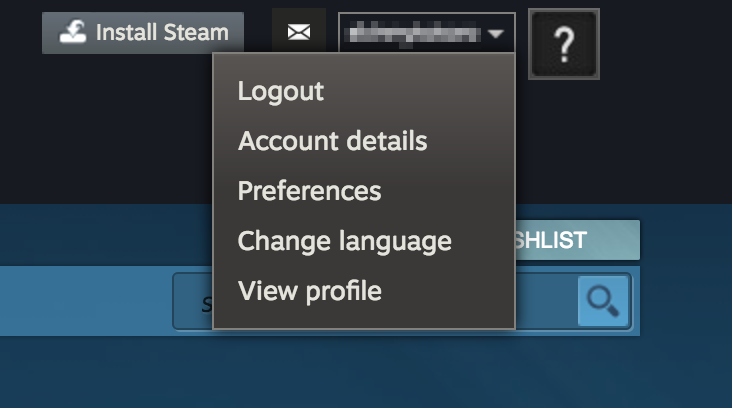 And why, for example, does the Steam website place the "Logout" button in the opposite position? Is it something to do with other habits or tendencies? PS: Pardon my English, I try to articulate my thoughts in limited grammar. I think Steam just haven't noticed this problem. Avoid Accidental logouts - as you pointed out putting the logout at the top of the list could create accidental logouts for users that are used to double clicking on elements. Follow standards - when browsing the internet users start to have something, like a muscle memory, for the different elements of a webpage. In your case, you've developed expectation (muscle memory) that the logout is residing at the bottom of the user controls list. Because most of the sites have adopted this standard you should follow it so you avoid accidental logouts. The top and the bottom of a list are most visible - when you have a list, the most visible elements are the top and the bottom ones (see here). Meaning - when a person has logged in it makes sense to list the logout option as a last, because logout is usually the end of a certain task. 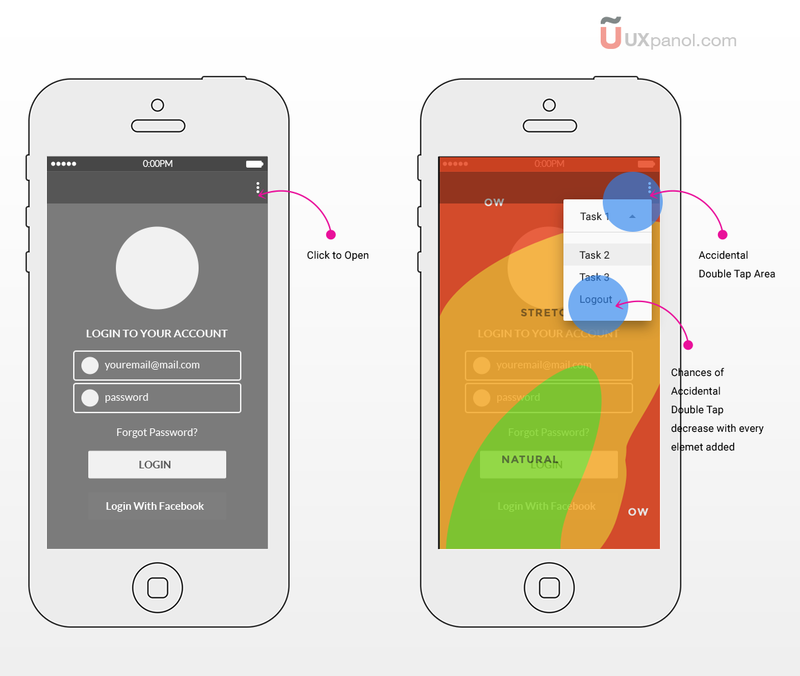 It's very important for businesses today to keep the users engaged with their products, and no one wants to give them an easy access to the users to leave their app or stop using their product. Think about each menu item as a task. You can perform tasks sequentially, like task1, task2, task3.... taskN . Which would be the very last task you can perform? Answer is easy: logout. Once you open the menu, if you add the logout on top and double click by accident, you'd hit the logout link. However, if you add it on bottom, each menu item will reduce the chances until making them negligible. Furthermore: between second and 7th element, it will require an additional effort by user to reach the logout, which of course reduces the chances of hitting that button by accident almost to 0. Thus, it's recommended that logout doesn't go further than the 6th or 7th element. More than that there will be trade-offs: thumbs will reach the element easier than before and users may forget to log off when needed . To my understanding, the log out button is the button in the dropdown that has a different action than the rest. 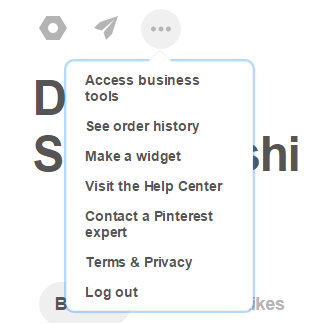 The rest of your menu account details, preferences, view profile etc are navigation elements for the user, but the log out button is an action that would make the user log out from the system. What is sure is that the Log out and the navigation elements need to be separated, because they have different behavior. Placing the log out at the button, I would say that is a way to separate them but also a convention since a lot of application use it this way. I found also this question which is also very interesting: Placement of the logout button/link? which is very well connected to this one Why would a web site hide the log out button? By hiding the logout feature, you're more apt to simply close the browser or tab, but effectively remaining logged into a service. This allows Facebook to openly track your online whereabouts via advertising partnerships that all report back to Facebook. 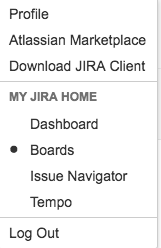 Lastly, I really like the clear separation of the Log out option, comparing to the rest, as for example, Jira does. I think this is much clearer than just displaying it at the bottom of the dropdown. Best user experience: Track clicks and order list's items according to visitors preferences. Result: Log-out button may come first. Best corporate experience: Order items according to company's best interest. Result: Log-out button should be hard to reach. It all depends on how important Log out is to your solution and the users goals. When you have a list of features, you can score them based on their relevance to the tasks the user is performing. 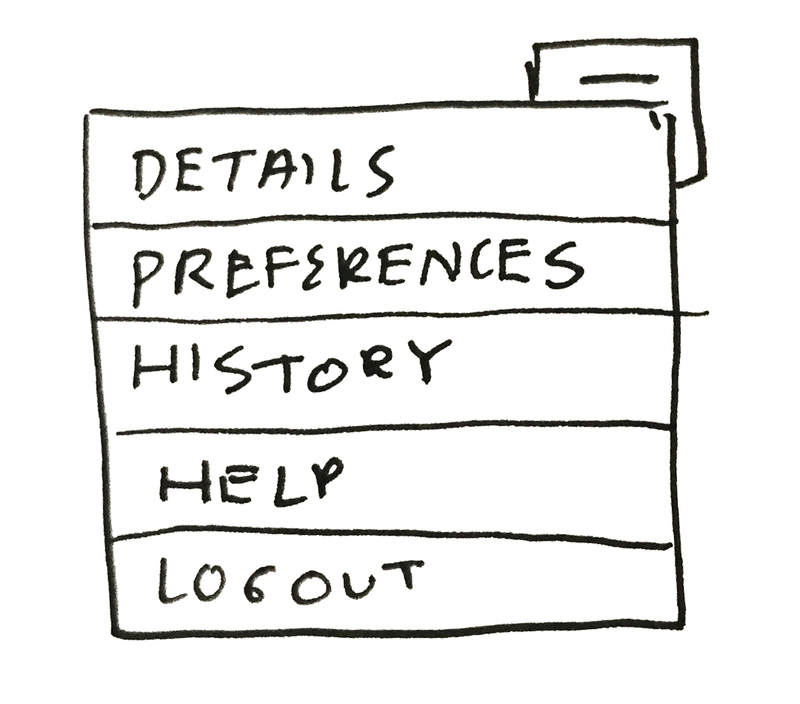 Log out is rarely related to the primary tasks of the solution so this is why the position of Log out is often placed towards the end of the information hierarchy, so if you have a vertical menu you often see it placed at the bottom, and if you have a horizontal menu it often is placed at the end (on the right in western culture). However, some solutions might view Log out as a special case worthy of placing it in a prominent location, e.g. persists in the top right corner (corners of the screen are prominent locations). The bottom line is the position will vary depending on how important it is for the user to explicitly log out. You could argue that Log out is so different to all the other features that it should not be placed in a menu along side other other solution features. Placing Logout Button in the right place is context-sensitive. For secured apps, it should be prominent in the header outside hamburger menu. For others, it can be inside the hamburger menu. Probably at the top if the user prefers logging out every time, and at the bottom if it is less used. Not the answer you're looking for? Browse other questions tagged layout menu hierarchy position logout or ask your own question. Two-level menus: Why? and When?